Years of budget cuts by Congress have left the Social Security Administration (SSA) short of staff on its toll-free customer service line, with wait times of up to 40-minutes. Long lines form daily outside many local field offices. And the backlog of people waiting for a hearing on disability insurance claims is causing wait times of more than 500 days. It is reported that 10,000 people died last year waiting for resolution of disability claims. Social Security has seen major cuts in recent years, with 10,000 fewer employees since 2010. The new federal spending plan includes $480 million designated for Social Security offices. But in April, Congress made a down payment on a badly needed fix for the customer-service crisis plaguing the agency. Lawmakers ignored the Trump administration’s request to hold the SSA budget flat, instead boosting the agency’s administrative budget by $480 million as part of the $1.3 trillion omnibus spending legislation signed into law by the president. Few government agencies touch as many lives as the Social Security Administration. In fiscal year 2017, the agency paid $990 billion in benefits to 67 million retired or disabled workers, survivors and recipients of Supplemental Security Income. The agency interacts with the public through its network of more than 1,200 field offices, its website, and its toll-free teleservice. 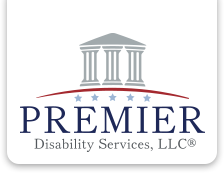 If you have a Social Security disability claim pending, or are thinking of applying for benefits, hiring an experienced representative is one of the best ways to increase your chances of having your claim be processed efficiently – and being awarded. Please contact us for a free evaluation of your case! Andrew M. Saul, a New York businessman who attended the University of Pennsylvania at the same time as Donald Trump, was nominated April 12, 2018, by the president to a six-year term as the Commissioner of the Social Security Administration. Nancy Berryhill has been serving as the Acting Commissioner since January 23, 2017. Saul was born in New York on November 6, 1946. He did his undergraduate work at the Wharton School at Penn, earning a B.S. in 1968, just as Trump did. After graduation, Saul took a job with Brooks Fashion Stores, a mid-range women’s clothing chain. He became vice president for store operations, executive vice president, and, in 1980, president of the company. Saul’s tenure as president was marked by millions of dollars in losses for Brooks. In December 1986, Saul and his father bought a controlling interest in the high-end women’s clothing company Caché, whose owners had filed for bankruptcy. Saul served on the board and was chairman of the company from February 1993 to October 2000. In the same year that he bought Caché, Saul formed the investment group Saul Partners. Saul joined the board of New York’s Metropolitan Transit Authority (MTA) in 1997 and in 2006 was appointed its vice chairman. He has been an MTA board member ever since. In 2003, he was chairman of the MTA audit committee when state and city comptrollers accused MTA of keeping two sets of books. While on the MTA 15-person voting board in 2005, Saul’s was one of only two votes against a holiday fare reduction for transit riders. Saul was a top fundraiser for George W. Bush and was rewarded in 2002 with an appointment as chairman of the Federal Retirement Thrift Investment Board, which supervises 401-k-style retirement programs for federal employees, including the military. Saul tightened loan requirements for Thrift members and grew the fund while maintaining strict financial controls. He remained on the board until 2011. In 2007, Saul entered the race for Congress from his home district in New York, and his deep pockets made the candidacy popular with the GOP. However, Saul dropped out of the race in November 2007 days after The New York Times reported that two of his campaign donors were bidding to build on MTA property. Saul also drew criticism for proposing transit fare increases. Saul was an early backer of Jeb Bush in the 2016 election cycle and subsequently gave thousands of dollars to the Republican National Committee and associated campaign committees through the general election. He made a total of $261,627 in donations during the cycle. He also serves on the board of the right-wing Manhattan Institute for Policy Research. The Office of the Inspector General (OIG) recently released a report detailing their findings on what factors are causing an increase in processing times for hearing offices in the New York and Atlanta Regions. Wait times at the hearing level have become a significant problem for Social Security Disability claimants. To put this in perspective, there were over 1.1 million cases awaiting a hearing at the end of Fiscal Year 2016. Further, the average wait time had ballooned to 540 days on average. For FY 2016, the 13 offices with the highest average wait time were in either the New York or Atlanta Regions. The OIG’s report concluded that low morale, issues with telework, claimant representatives, and the quality of the support staff’s work were all common factors in the offices with high average wait times. Additional factors included administrative law judge performance issues, difficulty with scheduling expert witnesses, and a large number of supplemental hearings/postponements. Based on their findings, the OIG recommended that the Social Security Administration work with the New York and Atlanta Regional Offices and their hearing offices to address the issues. The Social Security Administration has agreed with the recommendation. For our clients, the hearing wait time is a significant challenge that causes a large financial strain on them and their families. We feel it is a positive step for SSA to agree with the OIG’s recommendation so that they can begin addressing this issue in the New York and Atlanta Regions. For the full report from the OIG, click the link below.